Leonardo has developed and tested a major upgrade package for the US General Dynamics Land Systems M60A3 main battle tank (MBT). This M60A3 upgrade was developed and tested using internal funding for the export market, according to Massimo Gualco, director of marketing and sales at Leonardo Defence Systems. The Leonardo upgrade covers the M60A3's armour, mobility, and firepower, and is being marketed as a cost-effective upgrade package. 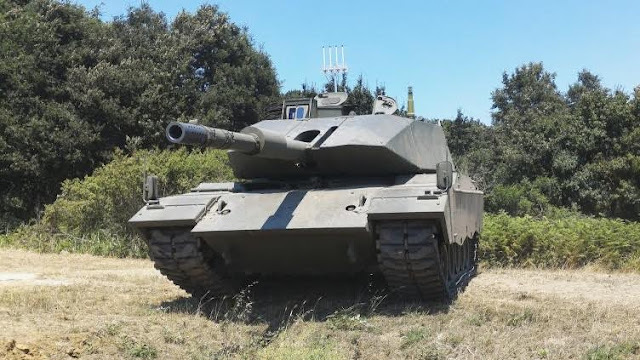 The M60A3 MBT has a hull and turret of cast and welded armour and over the turret frontal arc new passive armour has been fitted that is understood to provide protection up to STANAG 4569 Level 6. A similar level of ballistic protection has been provided over the frontal arc of the hull and up to the third road wheel station on either side. Bar/slat armour is fitted over the turret's rear to provide protection against anti-tank weapons fitted with a single high-explosive anti-tank (HEAT) warhead. The crew and power pack compartments are given an automatic fire and explosion sensing and suppression system. The existing fire-control system (FCS) has been replaced by the Leonardo TURMS (Tank Universal Modular System) digital FCS, which has been installed in several other armoured fighting vehicles. The new FCS includes a video tracker and a stabilised sight for the gunner that features Erica third-generation thermal cameras and an eye-safe laser rangefinder. If required, the tank commander can also aim and fire the main armament. The original M60A3 has electro-hydraulic gun control equipment (GCE) that could be replaced by an all-electric GCE but to maintain a lower price the existing GCE was kept for the upgraded M60A3. Hmm. Another upgrade for the M60A3? I guess all the surplus Leopards are bought up and for some reason (maybe the armor) we aren't seeing the M1A1's gifted.